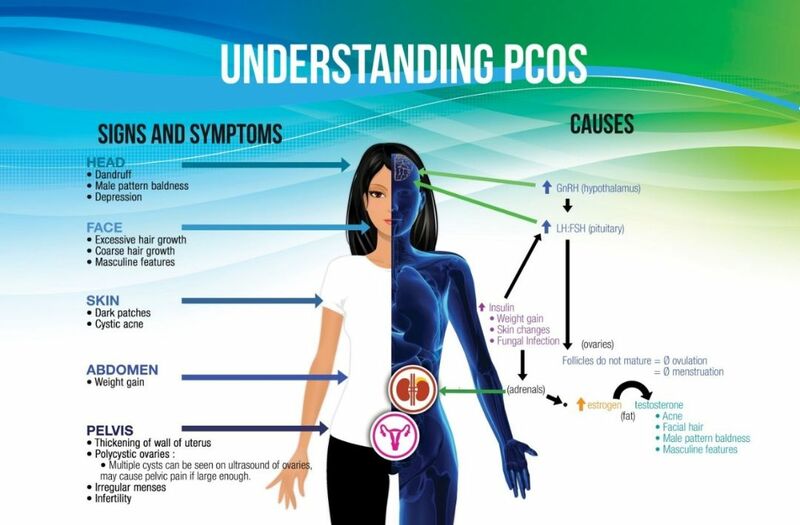 It is essential to understand the nature of the PCOS first, before treating this disorder. 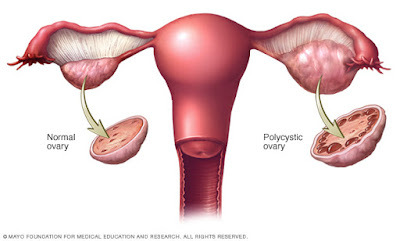 PCOS forms due to ovaries irregularities for this multiple cysts grow in the ovaries. However, to treat this naturally one should change the life style and eating habits. Let’s discuss about PCOS healing naturally. The most effective way of minimize the symptoms of PCOS is the natural healing process. By using natural method, you would get the root cause of the problem. Drink lemon water- lemon water eliminates inflammation. It hydrates your body and skin. Drink 2-3 cups of hot lemon water in whole day after you waking up from bed. Cut down carbs-carb foods can increase blood sugar level and according to medical research 80% females have PCOS with their insulin level. This will cause hormonal misbalance. Cut down high carb foods such as, white bread white rice, refined sugar and pasta—immediately. Include whole grains in your diet- Eating whole grains such as cereals, brown rice, nuts, breads will prevent blood sugar and balance your hormonal level. It has carbohydrates, which will help to slower down the blood sugar level in body. Natural remedy for PCOS patients. Eat plenty of vegetables- avoid high carb vegetables such as potatoes, and eat low carb vegetables such as cucumber, salad, broccoli, cabbage and spinach. These vegetables are fantastic healing for PCOS. Eat proteins- proteins help to balance your blood sugar level. Eat protein-based foods like turkey, eggs, beef, fish, soy, chicken. It is essential to fill your plate with carbohydrates and proteins. This is the best remedy for PCOS. Vitamin B intake- vitamin B relives depression and balance hormonal level in PCOS patients. Vitamin B is the best natural treatment for PCOS. Minimize sugar intake- eliminate raw honey and sugar intake to balance blood sugar level immediately. Artificial sweeteners are worst for PCOS patients. Get 8 hours of restful sleep and do regular exercise. Relief yourself from stress and lead a PCOS free life. Healthy meal plans, regular exercise/mediation, changing lifestyle would make a difference and PCOS will be healed naturally. Drink plenty of water, which will flush out all toxins in the body. The effective result of this hormonal misbalance will surely give an anxiety free life and the PCOS patients will get immediate result with these above diet plans. Your body will tell you to change things and by changing your diet, you will lead a healthy life permanently.Women suffering with PCOS feel depressed and worried all the time. The above natural diet tips will help to reverse PCOS. This will help to start regaining natural hormonal balance. Getting relief from PCOS symptoms one should follow natural way and treatment.Exercise regularly and by changing the diets, can improve the hormonal misbalance in women having PCOS. Polycystic ovary syndrome is highly challenging. Myriad of symptoms occur among women. Following natural diet and exercise one could eliminate the painful PCOS symptoms. Natural herbs, healthy diets, fruits intake will treat this disorder naturally without any adverse effects. Getting a proper knowledge about this significant hormonal misbalance is more essential. Hundreds of women diagnosed with PCOS are leading normal life. The natural healing process is the best healing process for PCOS.